Quite a few concerts announced since the last time I threw one of these up here. Dirty Projectors get top billing since Kevin (who use to write for this blog back every once in a while) is a big fan of their most recent effort Bitta Orca. I'm kind of on the fence about it but I think it's got a few great songs on it. Either way they'll be in Lawrence on November 9th at The Granada, it should be a good one. Other big announcements include Jason Isbell & The 400 Unit, The Swell Season, Meat Puppets, Art Brut and Passion Pit. See below for the recent shows and the full list is still RIGHT HERE. when do tickets go on sale for the swell season? Why can't the Passion Pit show just be a NORMAL pay-for-a-ticket kind of show????? Looks like tickets for The Swell Season go on sale this Saturday at 10. 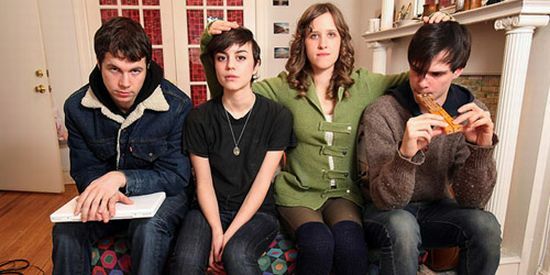 I'm sorta on the fence as well with the Dirty Projectors. There are a couple great songs on Bitte Orca. I just think there style is complicated is probably the best way to describe it. Yeah, some great shows coming up. I will be hitting up the Meat Puppets and the Art Brut shows. Brut is a must go. They are absolutely brilliant live.